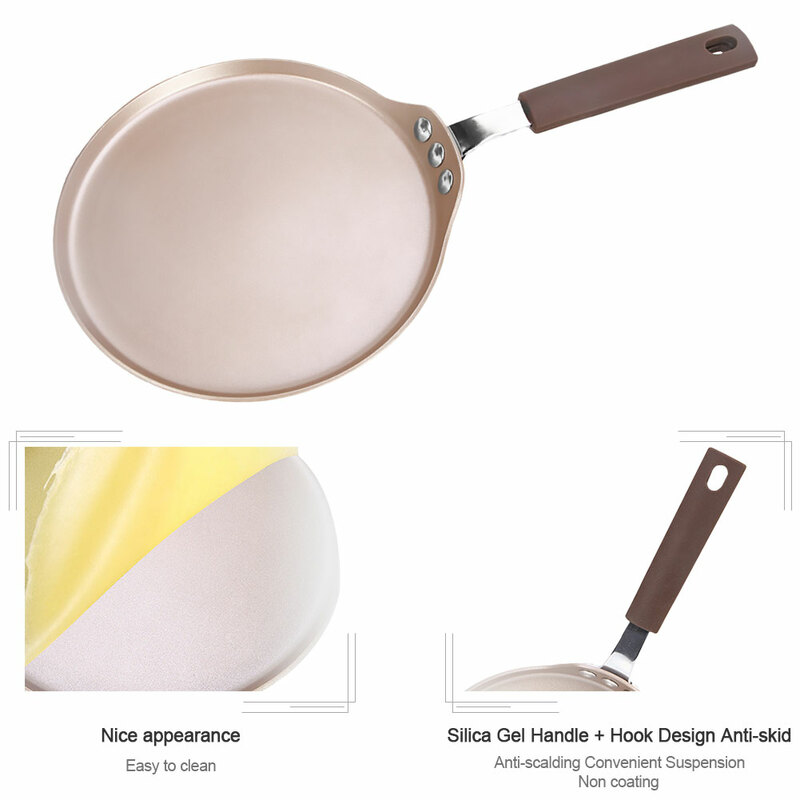 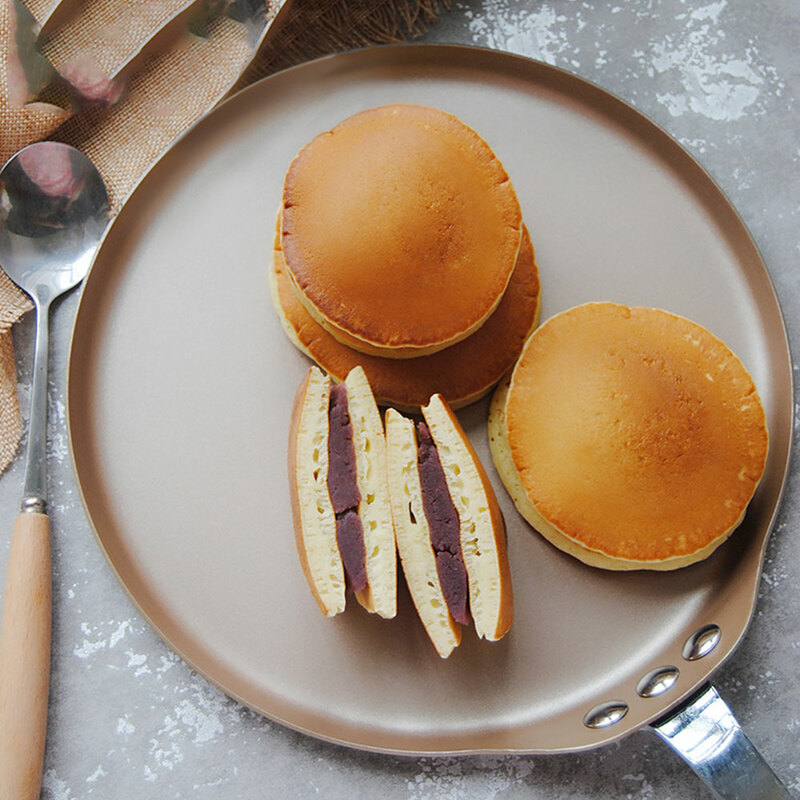 1、22 cm non-stick frying pan, safe for food, can be placed in the oven. 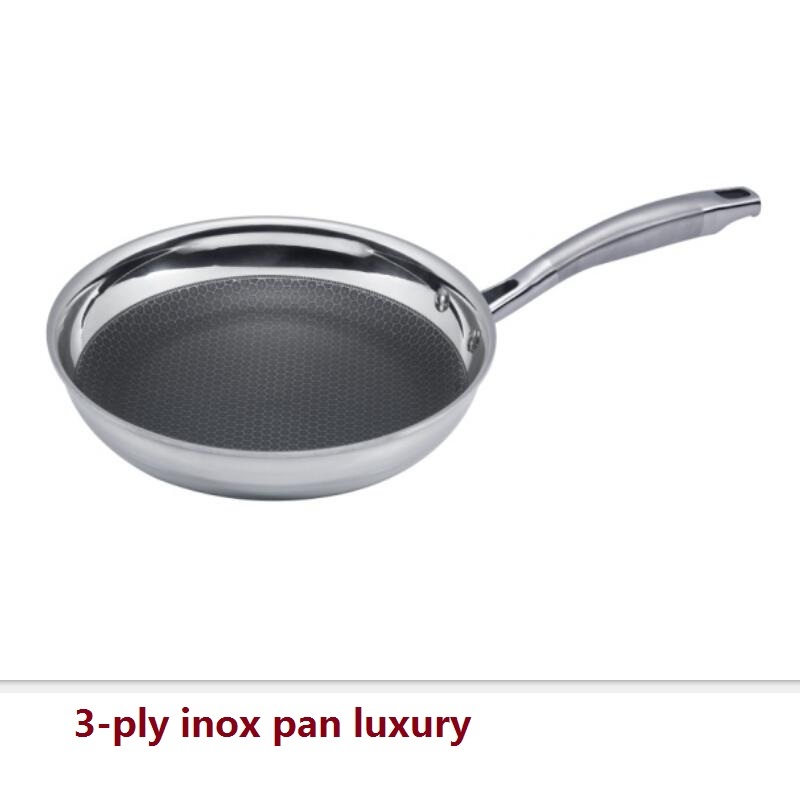 2、Stainless steel composite bottom, heat conductive uniform alloy layer can be used for induction cooker and open flame. 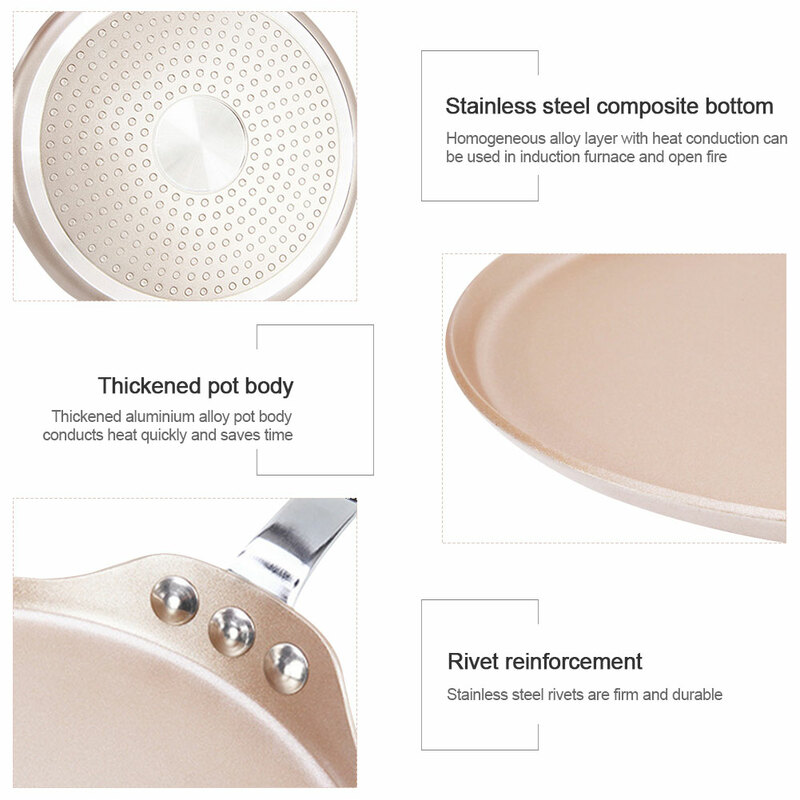 3、Thickened pot body, thickened aluminum alloy pot body heat conduction fast, time-save. 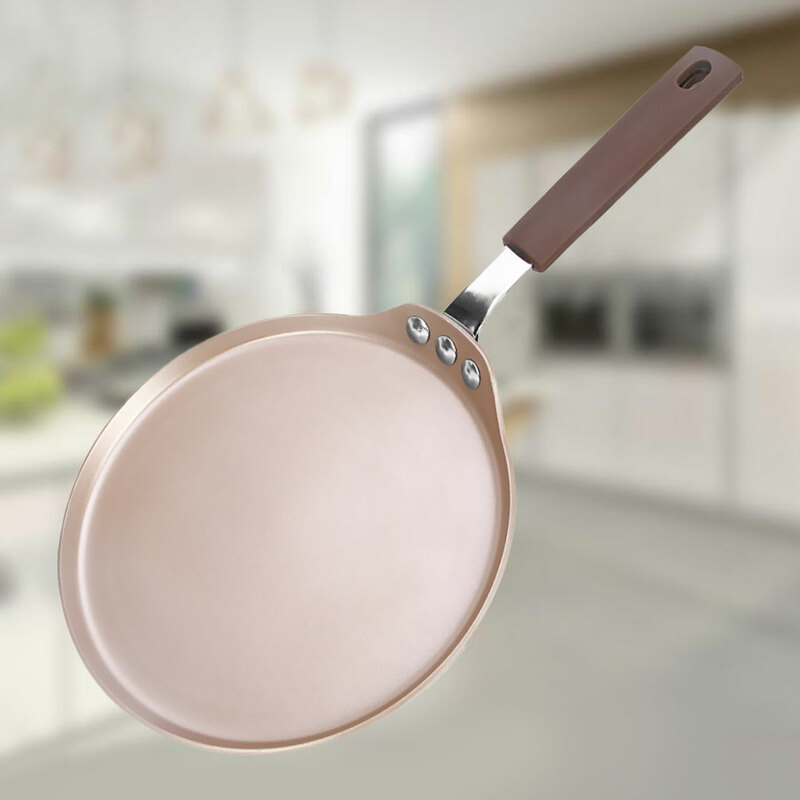 4、Rivet reinforcement, stainless steel rivet reinforcement, strong, durable and non-slip. 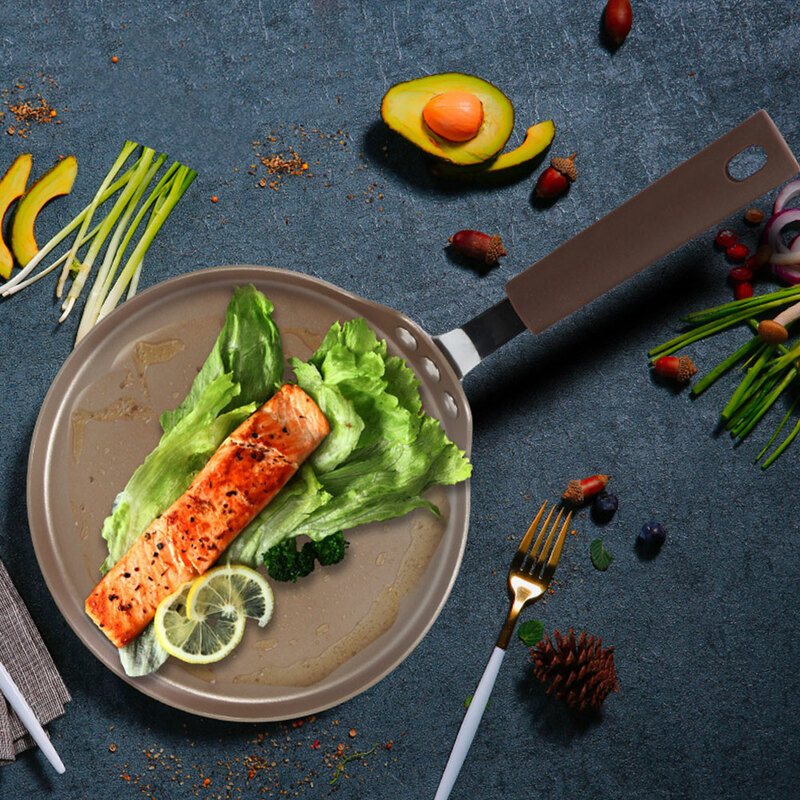 5、Silicone handle and hook are designed to prevent sliding and hot for easy suspension.